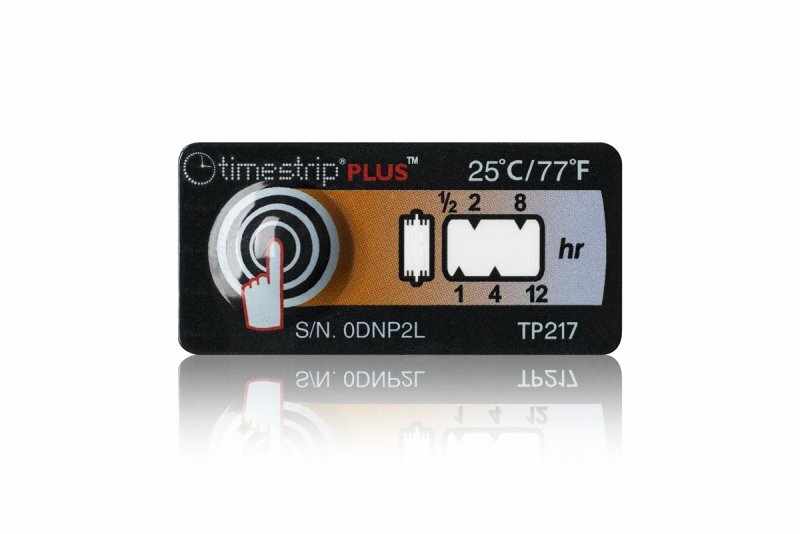 The simple to use indicators offer precise monitoring of time since activation or length of a temperature breach. 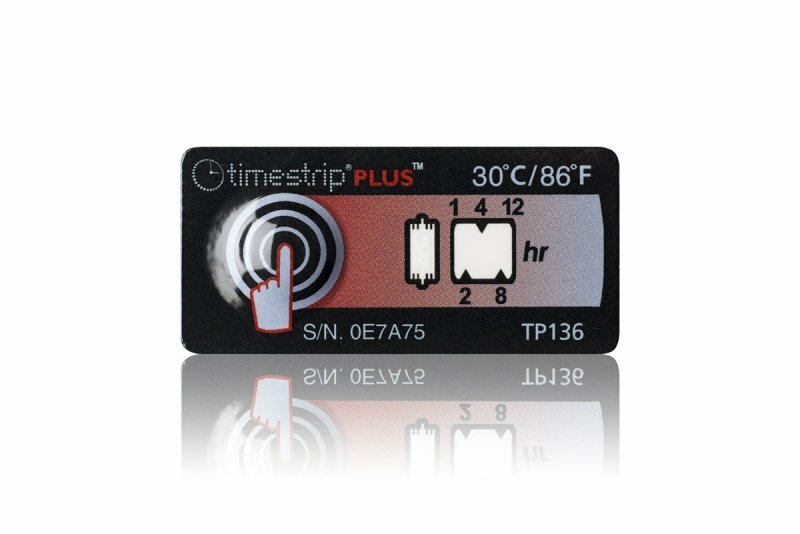 Timestrip indicators are activated by a simple squeeze of button. All the indicators offer activation indicating, letting you see the Timestrip indicators are on and working. The modern design allows users to gather data with a glance as the white indicator windows fill with colour. Adhesive backing on the small indicators make it simple to attach to the product, shipment or item to be monitored. 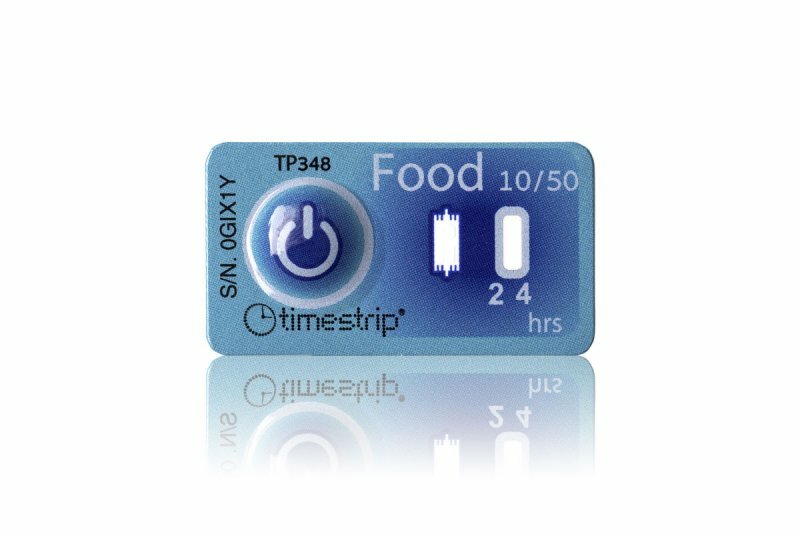 • Timestrip Food Temp indicators monitor temperatures from 3°C - 10°C. 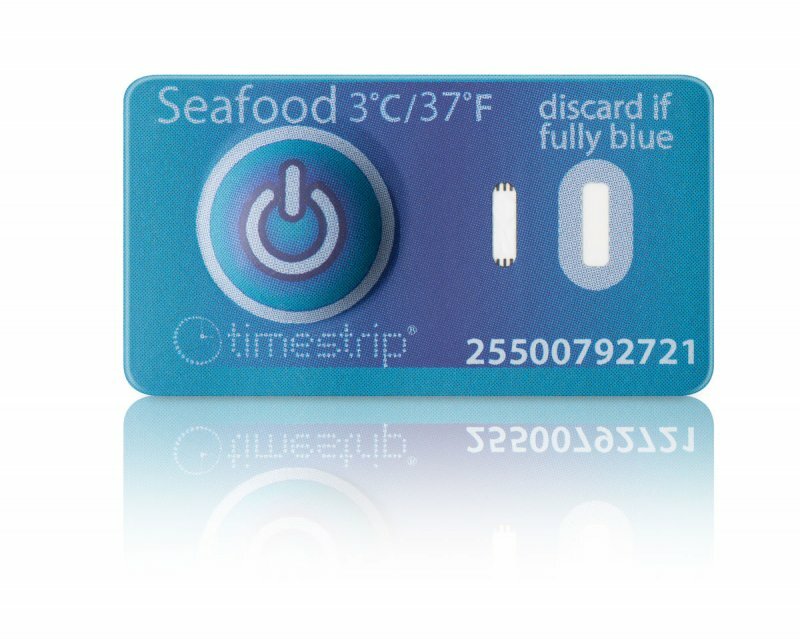 The Timestrip Seafood 3°C has been developed to comply with the FDA regulations on reduced oxygen packaging. 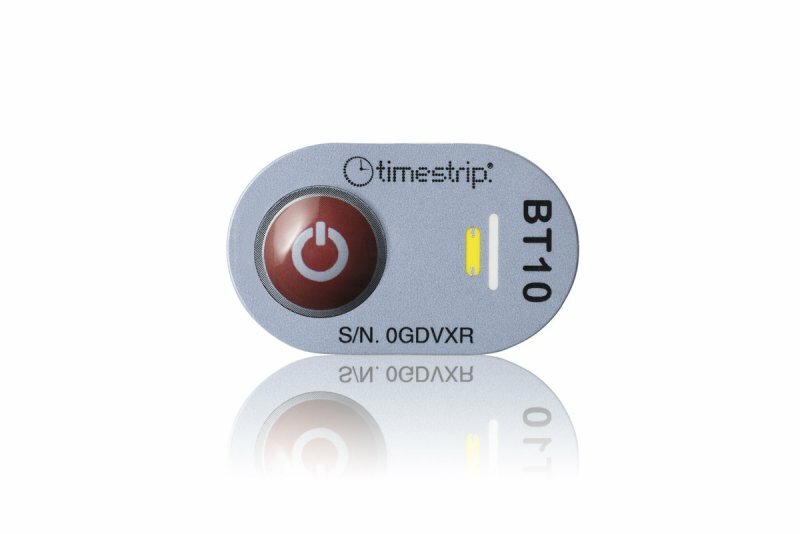 • Timestrip Blood Temp indicators monitor the temperature of blood products during transport and storage. 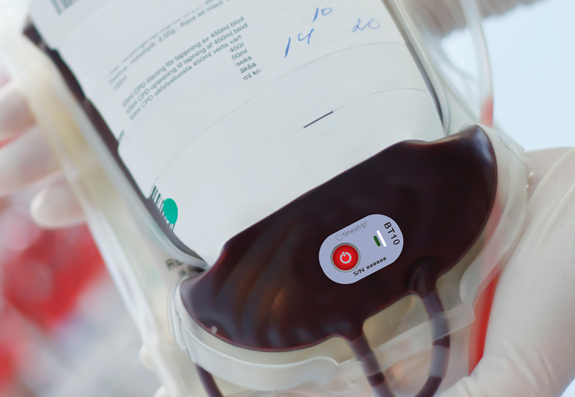 The Blood Temp 10 is a FDA 510(k) approved medical device for 10°C monitoring of blood bag transportation. 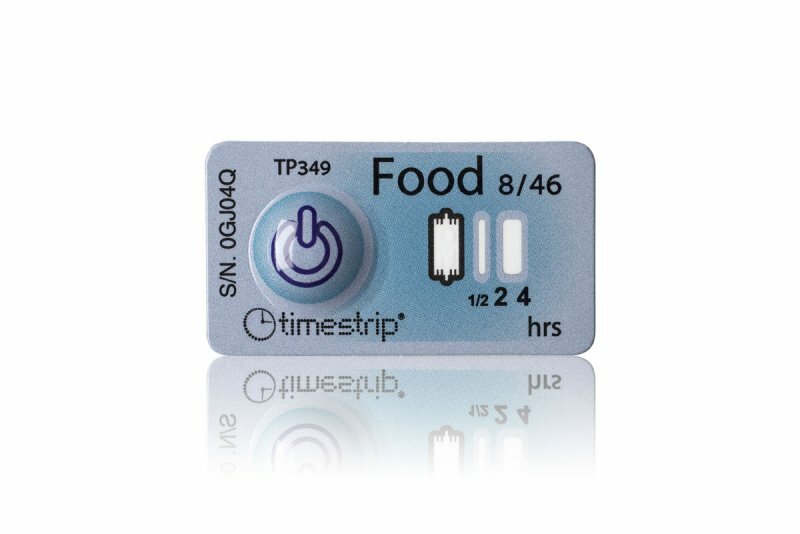 • Food - Time-Temperature indicators (TTIs) that have been specifically developed for food shipping and storage. • Healthcare - Temperature indicators for the healthcare and blood product industries. • Life Sciences - Temperature indicators curated for the life science industry. • Pharmaceutical - Time and Temperature indicators for the pharmaceutical industry. 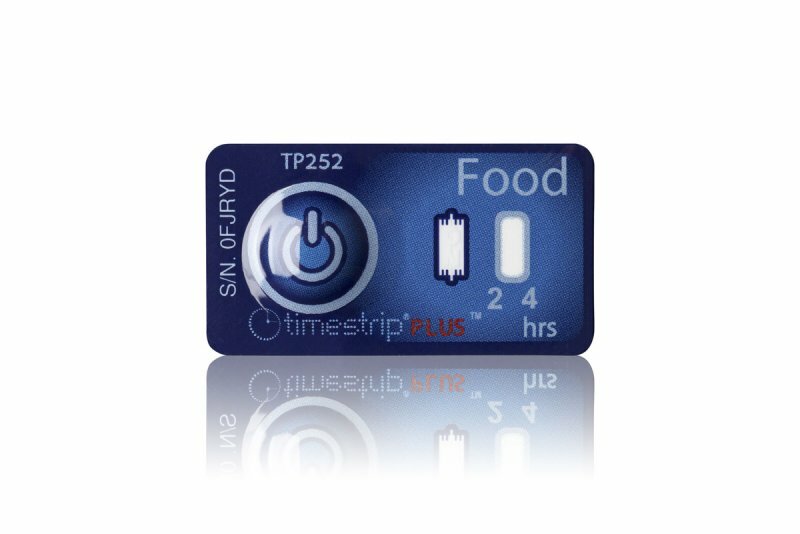 Timestrip Food TTIs are a simple solution for food safety compliance and cold chain temperature monitoring. The user friendly and cost effective indicators are used worldwide by a number of leading brands in food services and shipping. 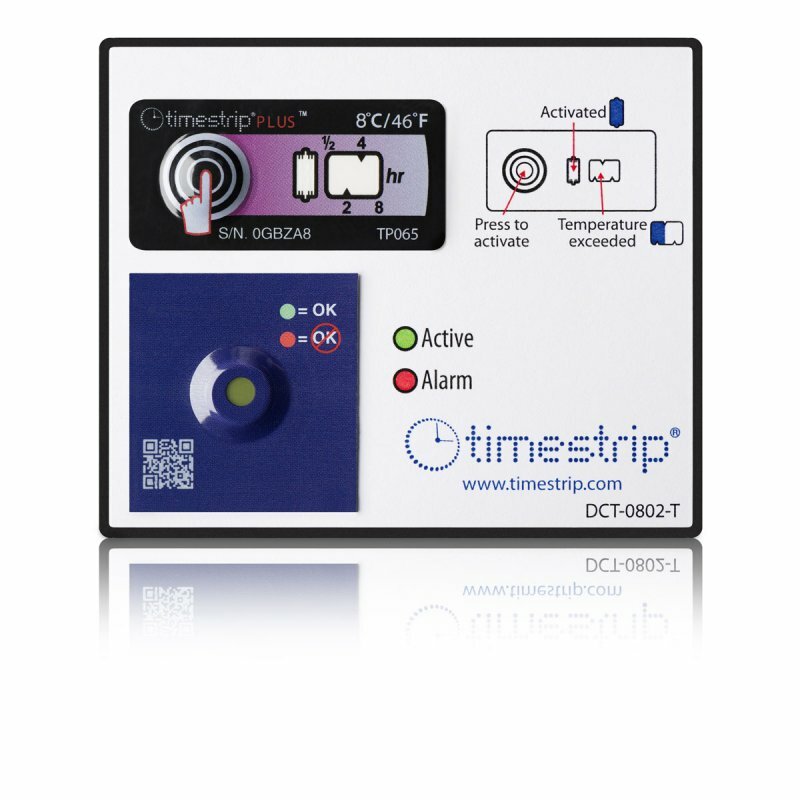 Timestrip even developed a 3°C TTI with the FDA regulations for C bot. These irreversible temperature indicators can be used for proof of temperature breach in reduced oxygen packaging shipments. developed with the FDA to control for the hazard of C bot growth and toxin formation in reduced oxygen packaged (ROP) seafood. It is a range of products for the life sciences sector, offering invaluable visual aids to medical staff and patients. 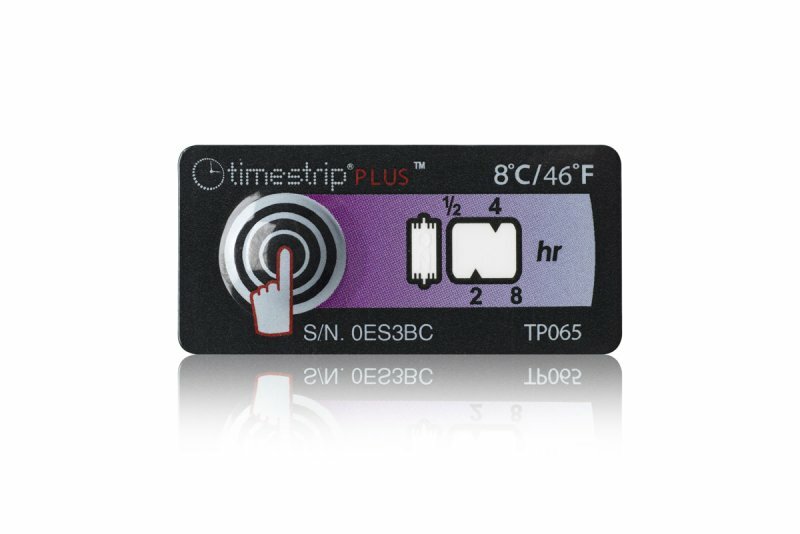 Timestrip® indicators clearly indicate whether a product is within its date, when a diagnostics test results are ready to be read and/or temperature parameters have been kept. 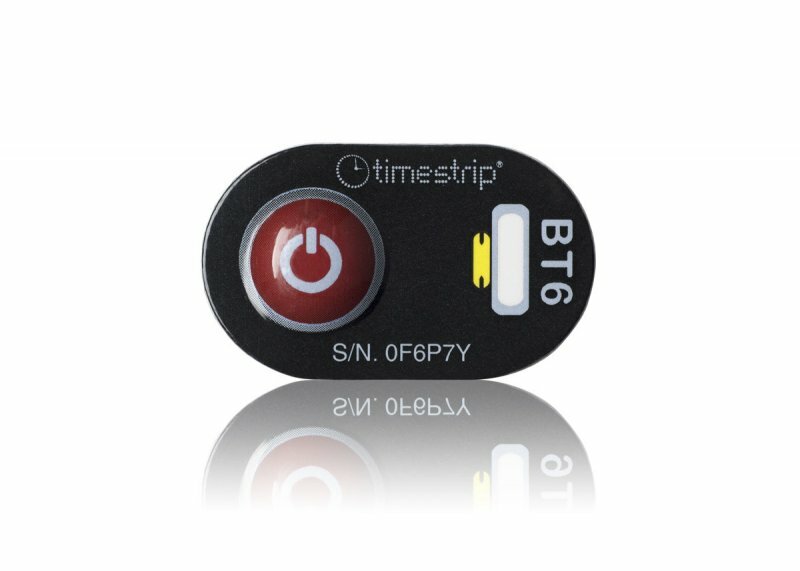 Timestrip indicators are a simple solution to help healthcare workers. The user friendly indicators show how long a temperature controlled shipment was exposed to unsafe temperatures or how much time is left before a results can be read. It is a range of products for the medical and pharmaceutical sectors, offering invaluable visual aids to doctors, patients and healthcare workers. 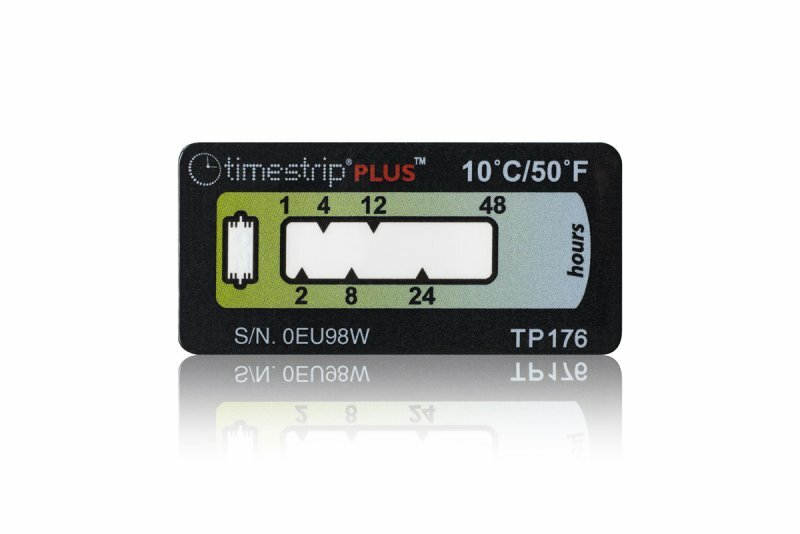 Timestrip® indicators clearly indicate whether a product is within its date and/or temperature parameters and therefore acceptable to use. Timestrip indicators are a simple solution to help patients and healthcare workers. 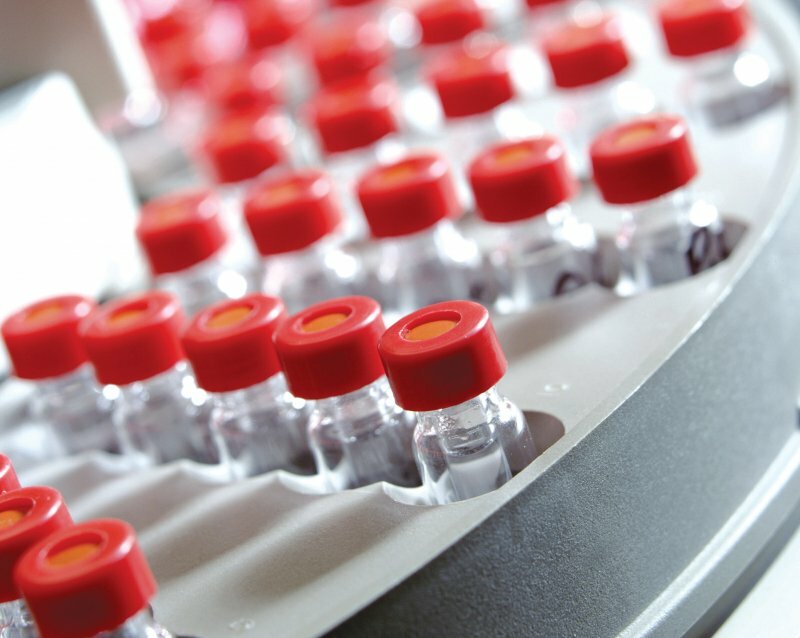 The user friendly and cost effective indicators visually show how long a temperature controlled drug shipment was exposed to unsafe temperatures or how much time is left before a pharma product is out of date. Monitoring a range of ascending temperature thresholds from -20°C to 38 °C. 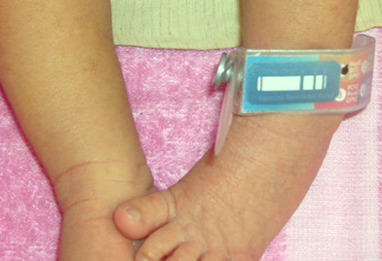 The Blood Temp 10 indicator is FDA approved. Perfect for seafood, shellfish and food shipping. Monitoring 3°C, 5°C, 8°C & 10°C. Simultaneously monitors ascending and descending breaches on a convenient carrying card. Perfect for 2 -8 °C cold chain monitoring.